Fishing the Florida Keys and backcountry can be very rewarding and exciting throughout the year but you have to have the correct rod/reel set ups matched with the correct fishing lines and tackle. 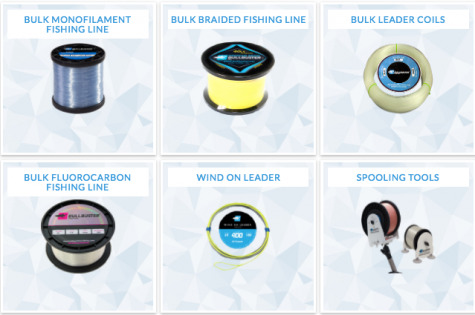 It's imperative that you pick the correct fishing lines to match the real that you are using in the type of fish that you're going to go after. When I fish the Florida Keys or backcountry Everglades national Park I primarily use a five rod and reel set up. I use Quantum Boca and Cabo 40s loaded with 30 pound Bullbuster braid. This will be ideal to target multiple species of fish like snook, redfish, trout, Spanish mackerel, Cobia, Trippletail, and small sharks. I have three of these set up with different lures or jigs ready to go at a moments notice. I primarily use on these three rod and reel set ups Bullbuster 30 to 40 pound florocarbon fishing line . From here we move up to my heavier gear which will be the Penn spin fisher 7500 loaded with 50 pound Bullbuster fishing line and I primarily use 50-80 pound florocarbon on this set up. I will use this for large cobia, big permit, and big sharks or tarpon. Then my heaviest gear set up is my Penn International 16 VS loaded with 100 pound Bullbuster mono. I use this set up for Goliath grouper and big sharks. This set up does not mess around strong reel, strong rod and very strong fishing line. Not to many fish escape it's clutches. From here we will go to my favorite lures, jigs and tackle for the backcountry. These favorite lures and tackle are my go to that I use to target all types of fish in the backcountry. Never Leave home without Bullbuster, and a plan. I never leave out there without them. These items are very productive and you will catch fish. I made video on Youtube for you guys to watch so you can see what I use. Hope this article help some you catch more fish! Visit www.bullbuster.net and order your fishing line and tackle. Spend More Time Fishing!